Aaron's Plumbing keeps all of your information private and does not share it with other organizations or third parties. 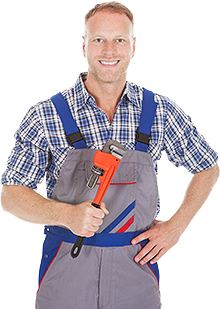 Aaron's Plumbing will not disclose your personal information unless acting in good faith that such action is necessary to conform to legal requirements or comply with legal process. If you supply us with your e-mail or postal address online you may receive periodic mailings from us with information on new products and services or upcoming events. IF YOU DO NOT WISH TO RECEIVE SUCH MAILINGS FROM AARON'S PLUMBING IN THE FUTURE, please let us know by e-mailing us or clicking the OPT OUT link. Please provide us with your exact name and applicable e-mail or postal address and we will promptly remove your name from our database. Persons who supply us with their telephone numbers online may receive telephone contact from us with information regarding orders they have placed on-line. Please provide us with your correct phone number. had a major plumbing issue that surfaced late on a Friday night. They came out and worked late into the night and then came back the next day in horrible, freezing weather and fixed my issue for me. Excellent service and very honest.